General Astrological Predictions: At 18:31UT the Moon conjuncts the Sun causing the New Moon and a Solar Eclipse in Leo. Actually, almost two hours after the eclipse, the Moon will enter Virgo. The energies of the eclipse have started raising just after the Lunar Eclipse and will be active until the next Full Moon on the 6th of September. But, of course, they will be most powerful during the day of the Eclipse. For Australia and most of Asia this will be the 22nd of August, but for the rest of the world, it will be on the 21st. As we’ve already seen, just to make things more… interesting, most of the planets are retrograde and this will be the case until the 26th when Saturn will turn in direct motion, but the balance won’t shift until the New Moon, the eve of which Mercury will also turn in direct motion. From the 28th degree of Leo, the Solar Eclipse conjuncts with “Al Jabhah” of Leo’s constellation. A fixed star of mixed nature, giving riches but can also bring out violence. War can break out shaking human kind. The Animal Kingdom will perceive this Eclipse like the End is coming. The whole scenery is not so favourable as the delays and obstacles created by the retrograde planets face the emergencies created by the Eclipse. The incompatibility of the energies the skies create is too great to easily deal with. But, thankfully there are some good news too. Mars hexagon with Jupiter is still strong. Mars is also forming a triangle with Saturn. Saturn’s hexagon with Jupiter is weak but still active. Sun triangles Uranus (and so does the Moon on the day of the Eclipse, but the Moon’s aspect last for hours, while the Sun aspect for days). Unfortunately Venus stresses both Uranus and Jupiter a little with weak squares, so Jupiter’s and Uranus’ beneficial energies are not very pure, but still, we’ll have some support. The luckiest signs will most likely be Aries, Gemini and Virgo. The ones who will suffer the most are probably Leo, Sagittarius and Capricorn. A mostly easy eclipse for you this will be. You may have to deal with some financial problems and changes in your income. Some needs may also occur demanding to spend some money you’d rather not. Even more so as some of theses money may be for health issues. In most cases these issues are nothing major, just a sign of unbalanced diet or life style. For younger Arieses (kids and teens) the eclipse may be a little more dramatic. Too many things and changes to deal with. Some of them internal, some external. Aries parents and parents having children born in the sign of Aries should be expecting such things. Most problems caused by the eclipse are around home and family. Both these may cause you a lot of stress and, most probably, expenses. In some cases “home” can be the area you live in, and not just the actual apartment or house. Your love life also goes a little crazy, for good or evil., but in no way easy. The happily married ones (even if the marriage is not formal) could be the only exception, receiving only beneficial influences in it. This, of course, depends on the spouse’s zodiac sign as well. This eclipse will be easier than the previous one, but I wouldn’t go as far as to call it easy. And your being tired after dealing with the previous one, doesn’t help a bit. In any case, avoid major expenses if you can, money deals, and also hasty decisions regarding a new lover or a returning one. You are probably one of the luckiest sign of this eclipse. At the very least things go easy on you. In some cases even major good things may happen. Vehicles, phones and other communication means may have some problems. 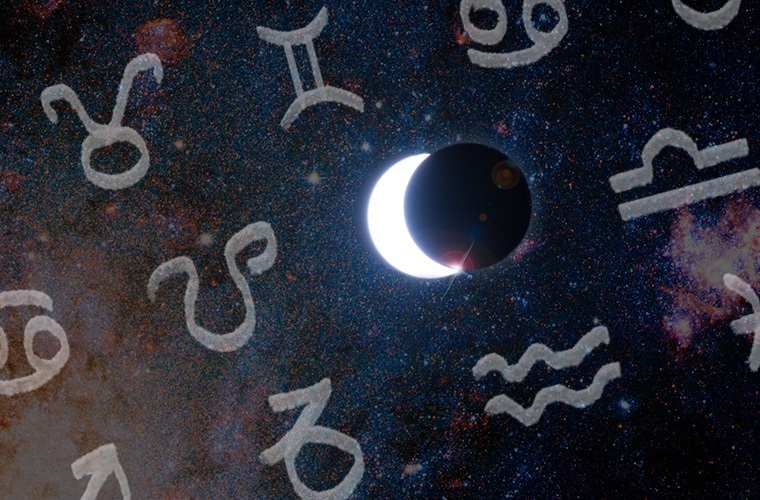 Other than that, the eclipse doesn’t seem to influence you directly anyhow, so you will enjoy the good luck and progress – slow as it may be – of the other astrological aspects we mentioned in the general section. On the other hand, the world around you – family, friends, neighbours, towns, etc. – have their problems and may cause you slight inconvenience or challenge your patience. Your financials were affected during the previous eclipse mostly through the important people of your life and most probably your spouse or lover. During this one, they will be affected directly. A change in your job or salary, a need to spend more money than you are willing, or other things like those may happen. In most cases, avoiding the panic and rearranging your priorities is enough to go through the crises. But, I said “a change”. It’s not necessarily a negative one. It can be a beneficial one. Still there will be some stress about it. You need to take care of your means of communication and transportation too. Siblings, cousins, or people you consider as such may give you some frustration. You should be extra careful during this eclipse. Your psychology is very much affected and your inner critic awakes and yells. Your past mistakes and whatever you think wrong on you and the like, are constantly in your thoughts. Experiences to support the foul mood also happen. You are forced to re-evaluate and change yourself. In the best case, you’ve initiated this procedure yourself, and thus, it goes more smoothly and pleasantly. Body’s health also can be affected, even more so if you had a “wild” previous period.